A man, Vincent Ibe, has been arrested by the police for allegedly stealing products belonging to a pharmaceutical company in the Ikeja area of Lagos. It was gathered that Ibe, who worked as a cleaner with the company, Chris Ejik Pharmaceutical Nigeria Limited, allegedly stole the company’s products on Saturday. The 30-year-old was allegedly caught by a guard on the company’s premises before he was handed over to policemen from the Alausa division. The guard, one Gabriel, said he had initially seen the suspect arranging cartons of the company’s products. He said, “While I was patrolling the company’s premises, I challenged Ibe because he was not supposed to be at the place I met him at that time. He claimed that he was arranging some cartons. “Later, I went on another patrol to the company’s dump. There, I saw a sack kept under a big tank. When I opened the sack, I discovered drugs belonging to the company. I left the sack there and instructed other security men to lock the gate. The man said he stole the company’s products to raise money for the hospital bill of his wife, who had been delivered of a baby through caesarean section. He said, “I was engaged into the service of the company as a cleaner in January 2017. On Saturday, August 11, 2018, I was caught with the company’s products. I stole those products from the company to raise money to settle the hospital bill of my wife who gave birth to a baby boy through a surgical operation on July 14, 2018. The Punch reports that Ibe was, however, arraigned on Tuesday before an Ogba Magistrates’ Court on one count of stealing. 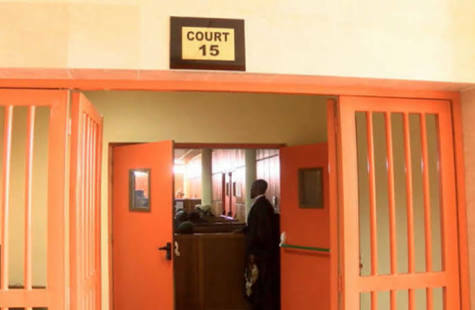 The police prosecutor, Oluwaseun Dada, told the court that the offence contravened Section 287 of the Criminal Law of Lagos State of Nigeria. The presiding magistrate, A.K. Dosumu, granted him bail in the sum of N40,000 with two sureties each in like sum. “The sureties should be gainfully employed with evidence of two years tax payment to the Lagos State Government,” Dosumu added. The case was adjourned till September 5, 2018.